Easy alignment of the sensor. 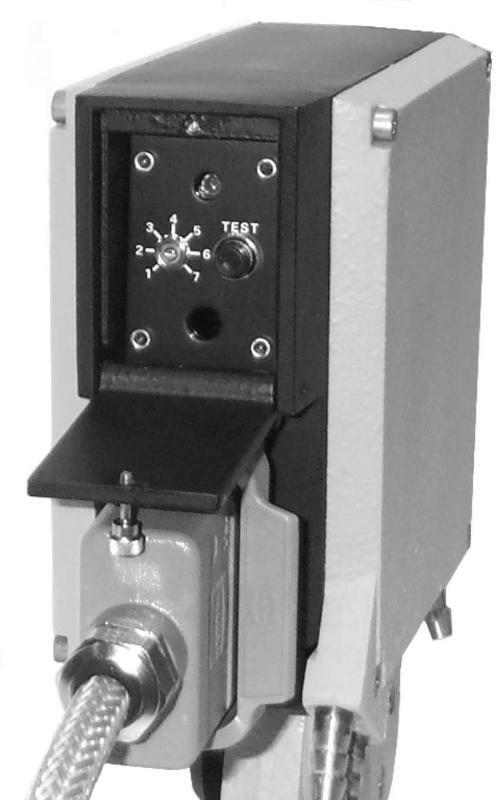 Assured detection regardless of the transverse position of the product. Precise detection thanks to the narrow lateral field. Reliable detection because of the small analysing beam. Photosensitive cell that best suits application in rolling mills, despite scale and steam. Very low maintenance, virtually nil in some cases. 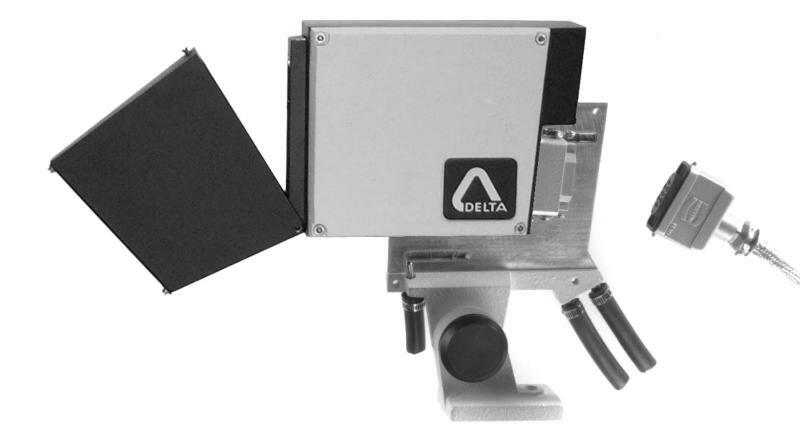 The Rota-Sonde DC2000 is a scanning sensor, which is sensitive to the infrared radiation emitted by hot products. An optoelectronic case with a protecting hood of the viewing port and a connector. A cooling plate with an adjustable mounting stand. Because of its design and particularly its cast aluminium case, the Rota-Sonde DC2000 is specially adapted for the harsh environment of the Steel Industry (vibrations, heat, vapour and dust). Easy alignment and reliable detection, regardless of the transverse position of the product, thanks to the large vertical field angle. Accurate detection because of the narrow lateral field. Reliable detection due to the small analysing beam. All these features give accurate and reliable detection, whatever the dimensions and the temperature of the product, or its distance and its position in the scanned field. The Rota-Sonde DC2000 is fitted with a special photosensitive cell, the best compound for detection of metal, even at a temperature as low as 400 °C (750 °F). The Rota-Sonde DC2000 is enclosed in a sealed cast aluminium case. A hood for protecting the window glass is fitted with an air-jet facility to blow a vertical air curtain in front of this glass. The protective hood can be hinged down to clean the window. The case is mounted on a cooling plate including a stainless steel pipe and fixed to a mounting stand, adjustable in two axes. The water and air purging connections are on the support plate. In this way it is possible to remove the sensor without first disconnecting the water and air supplies and without need of optical re-alignment. Sensitive photocell with an optimal spectral sensitivity to detect product at low temperatures and in the presence of steam. Case mounting connector and mating connector fitted with high temperature cable. A direct sighting through the detector itself for easy alignment. A TEST button to control a built-in lamp which simulates the presence of product in the field.